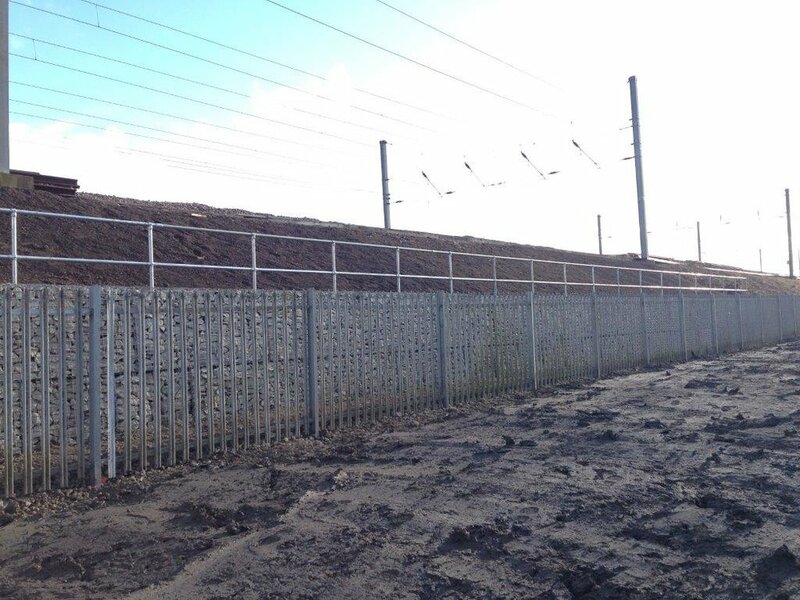 A new retaining structure for a failed section of railway embankment on the Midland Main Line has been devised by VEDA with a design life of 120 years. The six-metre high embankment between Bedford and Flitwick was showing signs of slip and movement. Utilising an AIP (Approval in Principal) produced by Network Rail’s Building Design Group, VEDA developed the Detailed Design for its stabilisation. 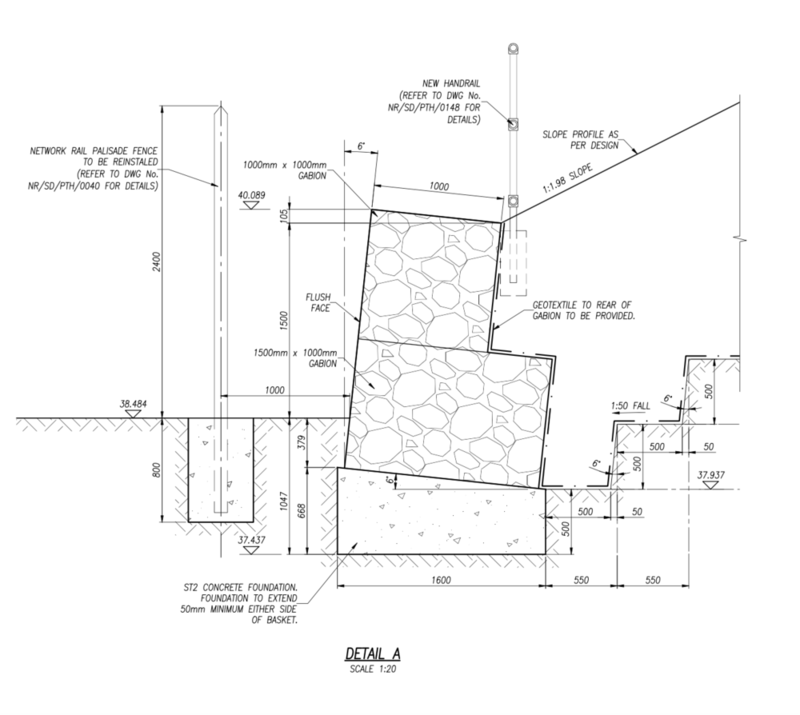 VEDA proposed the installation of the gabion baskets, a gravity retaining wall system, but, further movement in the embankment was recorded during the design stage. Although the slip on the 40 to 45-degree angle slope appeared “relatively shallow”, it was enough to shift the site’s boundary fencing and displace a troughing route in the cess so the works were escalated to emergency. As part of the project, VEDA Associates utilised GEO5 software to determine the stability and likely slip profile of the existing arrangement. Additional geotechnical investigations were commissioned to ascertain ground conditions. Boreholes to a maximum depth of 8.5m below the toe were made to monitor groundwater and ground conditions to calculate the embankment’s overall stability. The allowable ground bearing pressure for the proposed foundations was determined from an in situ heavyweight dynamic probing technique. The proposal was for the construction of full height reprofiling of the embankment with gabion wall toe retention. During the reactive element of the works conducted following heavy rain and further slope movement, sheet piles were driven into the crest of the embankment to retain the cess and ballast shoulder in the temporary condition. 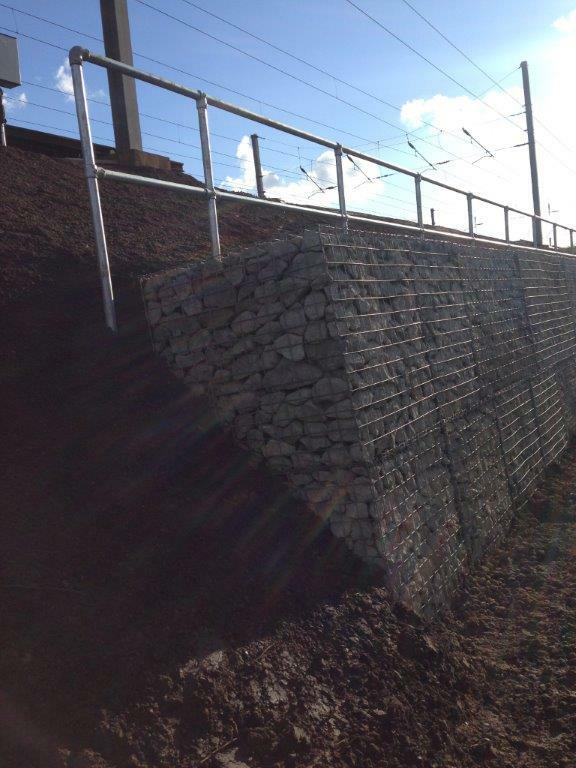 With the sheet piling in place, the gabion baskets were constructed at the toe of the embankment and the remaining section of embankment reprofiled. A further challenge arose from the probability of a habitat for a species of UK and European legislation-protected newt at the site. The discovery necessitated VEDA specify safeguards to ensure none would be harmed or killed during the works.